When I first began homeschooling Tigger six years ago, I felt that I had a pretty good understanding of homeschooling. After all, I’m a homeschooling graduate myself. I quickly found, though, that being a homeschool student and being a homeschool parent are two very different things indeed. Now I was responsible for providing a quality education to my little preschooler and I wasn’t even sure I knew what preschoolers needed to learn! Somehow I made it through our first year intact, but I learned some great tips along the way that I’m happy to share with you all. So – here are five pieces of homeschooling advice for the first year! If you’re new to homeschooling, I hope these tips help you begin your homeschool year with confidence! Establish a mission/vision for your family’s homeschool. Decide what educational objectives and moral habits you want your kids to learn and build your homeschool around those. In Patricia Espinoza’s Family Homeschool Planner for 2014-15, there is a space right at the beginning to list your family’s “most important intentions for learning”. That’s a fabulous way to renew your dedication to your learning goals! Seek out other homeschoolers for support. Learning how other experienced homeschoolers made it through their first year can really help you become more comfortable in your role as parent and educator. A great resource for this kind of encouragement is You Can Do It Too: 25 Homeschool Families Share Their Story by Lorilee Lippincott. Do you have any tips for new homeschoolers? Feel free to share them in the comments! What fabulous advice! I wish I had this advice last year when I started homeschooling. I totally tried to do “school at home” – oh it was dreadful! I cried many a night over how our year was going. Support is essential. I finally got really involved in our homeschool association in March last year and did it ever make a difference. Great advice!!! this will serve as a great set of information for the homeschooling beginners. 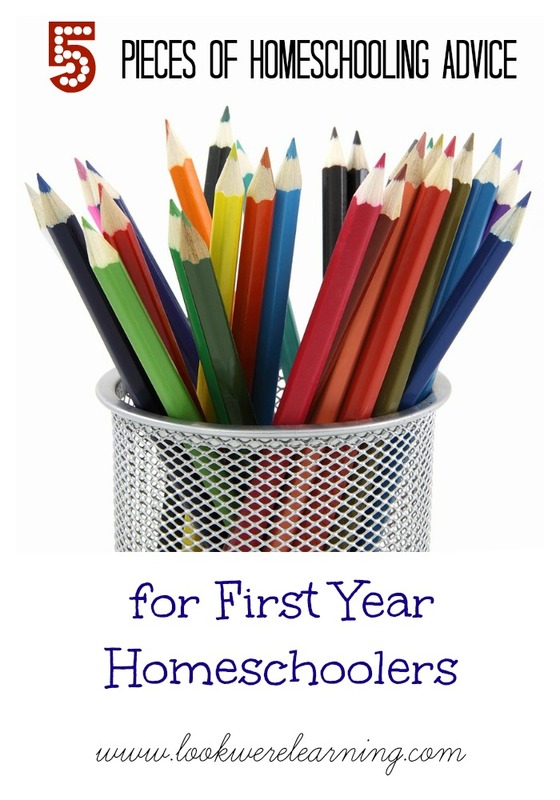 They can follow your advice and have a successful first homeschooling year. Awesome work! !